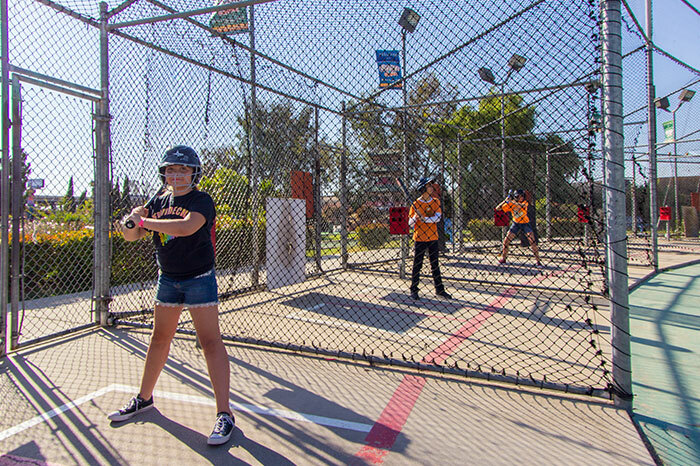 The batting cages give you and your friends the chance to feel like Major League hitters as you swing for the stars. Choose baseballs or softballs pitched at varying rates of speed. Helmet and bat provided with photo i.d.